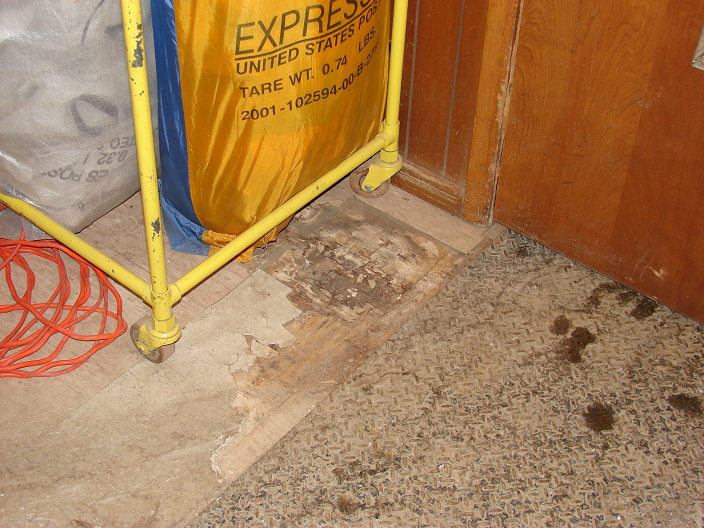 Heavy post office carts are damaging the floor in the post office. 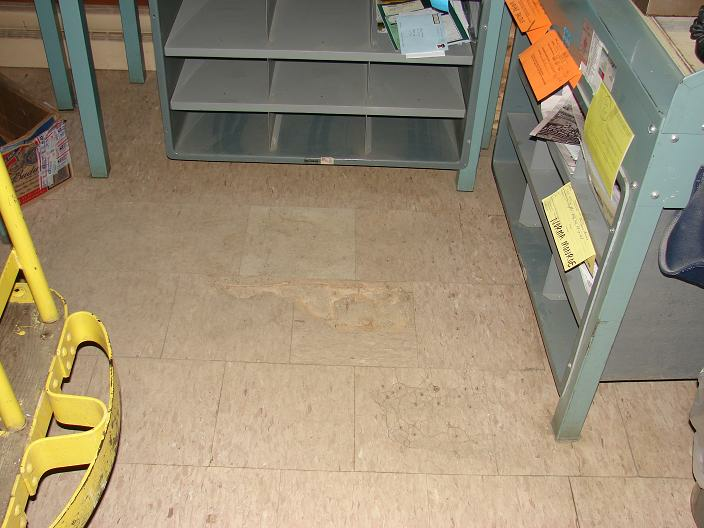 We are preparing a letter to the Post Office administrative offices to ask that they help repair the floor. Details below. 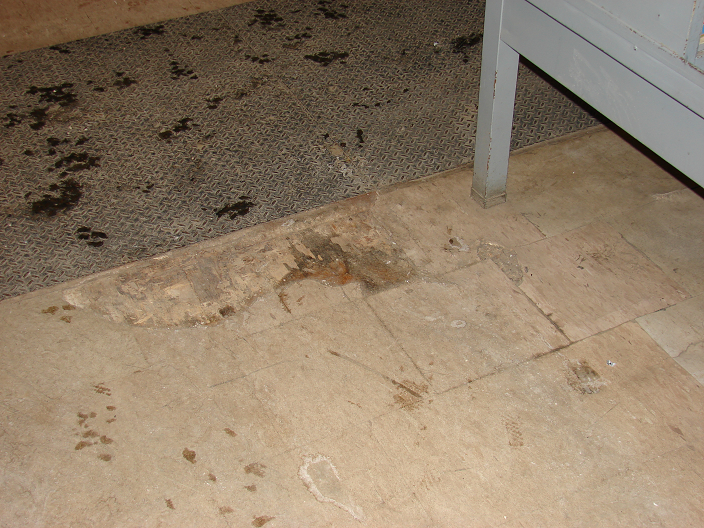 The combination of water damage and heavy use has damaged more of the floor. The pictures (below) tell the story. Current plan is to put down 4 4’x8′ 14 guage diamond studded steel plates. 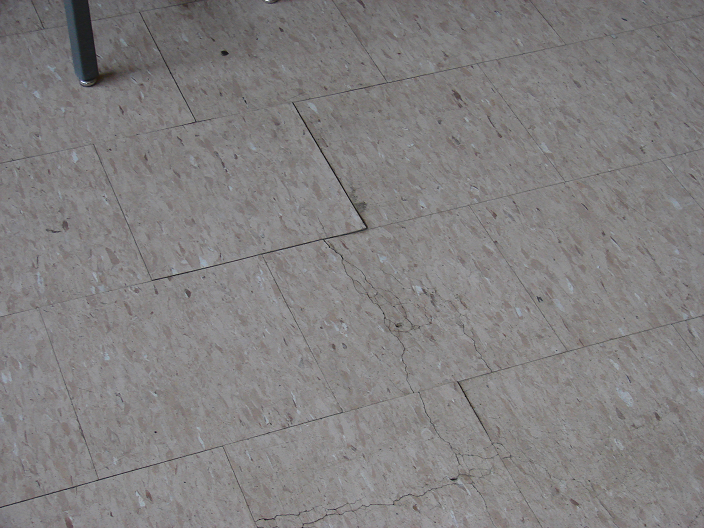 2. tile.dmg2 – another simple tile replacement. 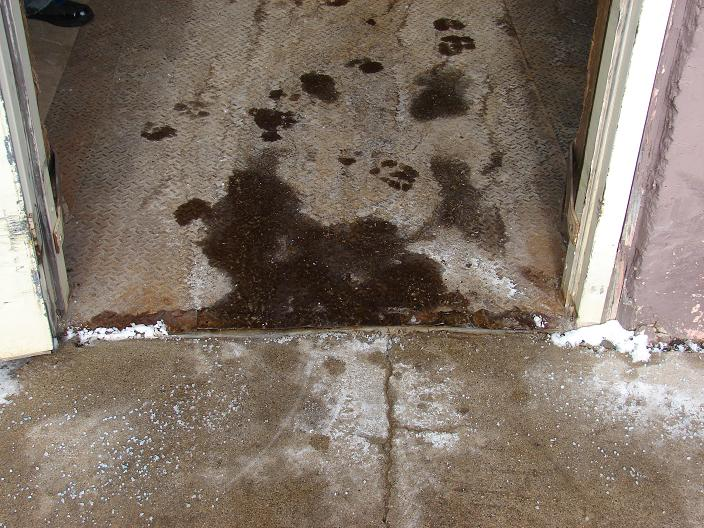 This entry was posted on December 28, 2009 at 3:38 pm and is filed under TroubleTickets. You can follow any responses to this entry through the RSS 2.0 feed. You can leave a response, or trackback from your own site.